If you’ve been wondering “How does garlic grow?” the short answer is this: gently break the garlic into cloves, plant the cloves, cover with soil and water. The planted garlic will soon generate stalks (scapes). When these scapes start to wither, you are now ready to harvest your garlic. 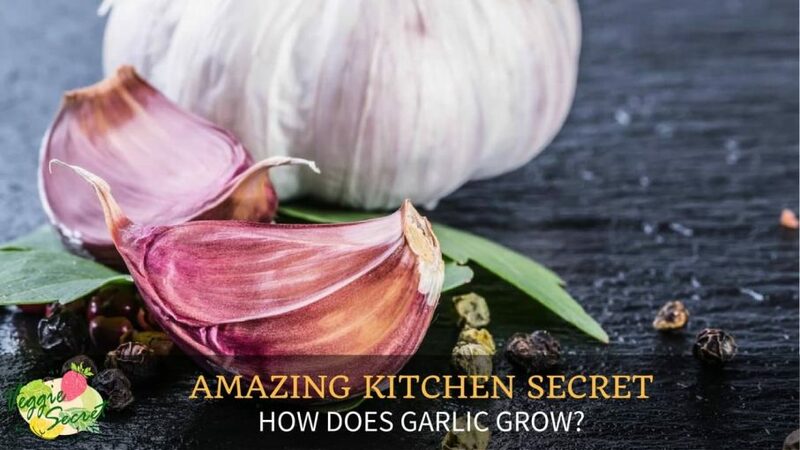 1 How Does Garlic Grow? 6 Love Garlic But Hate the Smell? Planting garlic begins with breaking the bulb into individual cloves then bury into sandy loam soil with the tip facing upwards. Plant the cloves into the soil to around 5 cm in depth and spaced evenly for around 7-8 inches apart. Water planted cloves to provide moisture but don’t over soak them. It also helps to cover the soil with mulch for added organic nutrients. It is important to water garlic regularly and deeply, but don’t overdo it. Too much water could lead to rotten roots and hamper the garlic’s growth. Watering deeply is important during the warmer seasons and when there’s no rain for a couple of days. Promptly get rid of insects and pests that prey on your growing garlic. Aphids love garlic leaves but they’re fairly easy to get rid off. Simply rub your fingers those pesky aphids. You might find mice nesting in your mulch. If this happens, switch to a different type of mulch that’s less appealing to mice. Fortunately, garlic has little issues over pests and insects and most issues are easy to take care of. In fact, a growing garlic is itself an insect repellant. If you’re an avid garlic gardener, consider rotating crops every few years to prevent certain fungi and diseases from developing resistance against garlic. You’ll know when your garlic is ready for harvesting when the scapes or stalks turn yellowish or brown. 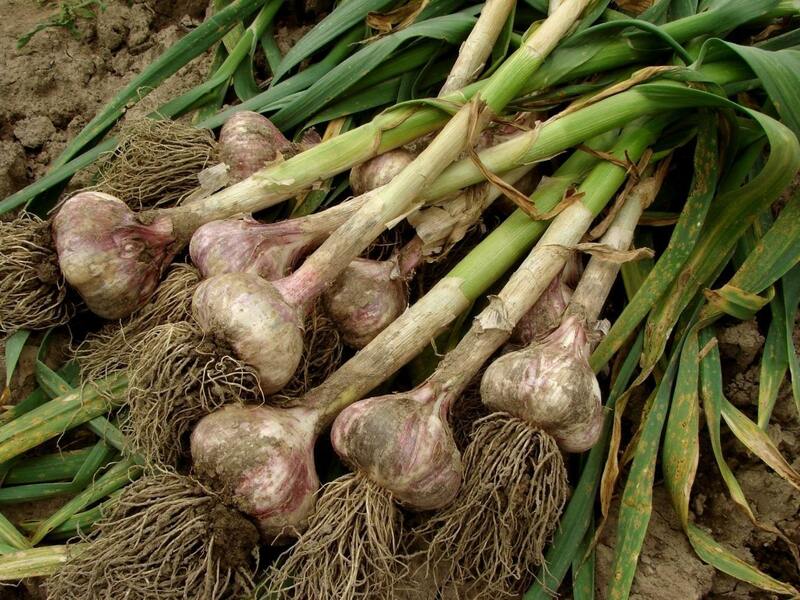 Simply loosen the soil around each bulb with a shovel then pull garlic off the soil. It is important to harvest garlic as soon as scapes start to wither. Prolonging it far too long could result to bulbs disintegrating into cloves. Remove as much soil from the bulbs then braid the garlic. Air-dry them for around two weeks to increase flavor and lengthen shelf life. After which, you can use garlic in cooking and store the surplus with different preservation methods. Despite the infamous “garlic ﻿﻿breath ” you have to know that very same odor is an indication that garlic is doing wonders to your body. Various researches show that garlic excellent in managing heart conditions and blood pressure level. 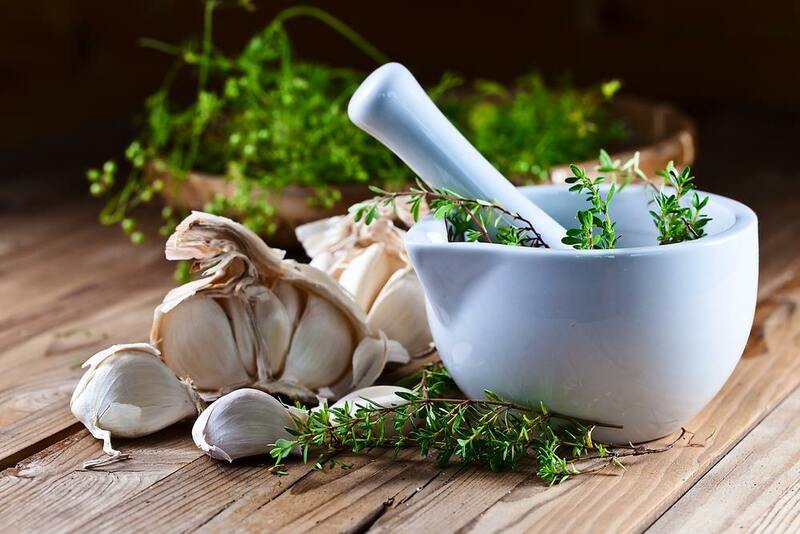 Apart from that, garlic has the amazing ability to relieve common colds as well as improve bone health. There are also studies showing that garlic has the potential to help you reduce weight, minimize hair loss and relieve cold sores. So if you’re still feeling too conscious about the resulting odor after consuming garlic, just think of it doing your health a favor. But having too many garlic could be a problem, right? Those bulbs could rot and go to waste if you don’t use them within a reasonable period. So if you happen to have more garlic than you can reasonably consume, it’s best to preserve them and keep your extra garlic from getting wasted. There are three basic and easy ways to manage surplus garlic and keep them useful for the next several months: roasting, drying and preserving in oil. 1. Place garlic heads in a medium bowl and pour hot water all over it. This should help you remove the papery skin easier. 2. Once water has cooled down, drain it out and start peeling the garlic away. 3. Place peeled garlic cloves into a saucepan and cover with olive oil or canola oil. 4. Check on the garlic and remove from the stove when it has turned lightly golden brown. 5. Drain oil and mash garlic with a fork. 6. 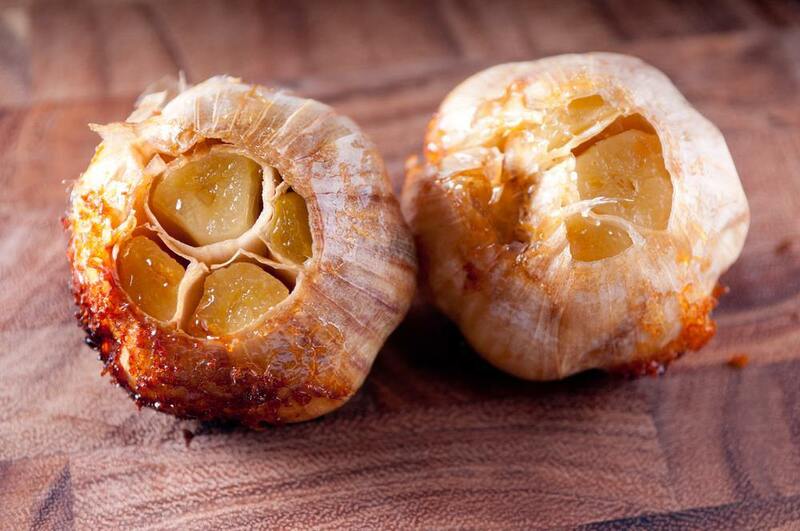 Transfer garlic into an air-tight container and keep in the refrigerator. 7. Don’t throw the oil. You can use it in your other dishes. The garlic flavor in the oil will give your menu recipes a more distinctive taste. 2. Peel the outer skins of the garlic. Cut the garlic with a knife just a few centimeters away from the base. 3. Position garlic heads up into a baking tray. 4. Season the cut heads with olive oil. 5. Cover the heads with aluminum foil and bake for 30 minutes. 6. Eat as is or mash roasted garlic with a fork. Roasted/ mashed garlic has so many uses. You can use it as a condiment on your burger or as a side dip for your crackers and chips. It's also an excellent addition to your vegetable base and sautéed mushrooms. You must remember though that garlic's flavor is more pronounced in your dishes when it is added later than earlier in the cooking process. If you’re looking for just a gentle hint of garlic, add garlic at the beginning; but if you want to feel its potency, add garlic when you’re almost ready to serve. 1. Choose fresh garlic and peel off their skins. 2. Chop or mince the garlic cloves. Alternatively, you could use a food processor to grind the garlic. 3. Place minced garlic into a parchment paper. Bake in the oven for 200C degrees. 4. You could also use a food dehydrator. Put garlic into the dehydrator and let them sit there at 45C for two days. 5. Transfer dried garlic into an airlock container. If desired, you can strain garlic granules in a wire mesh before storing. 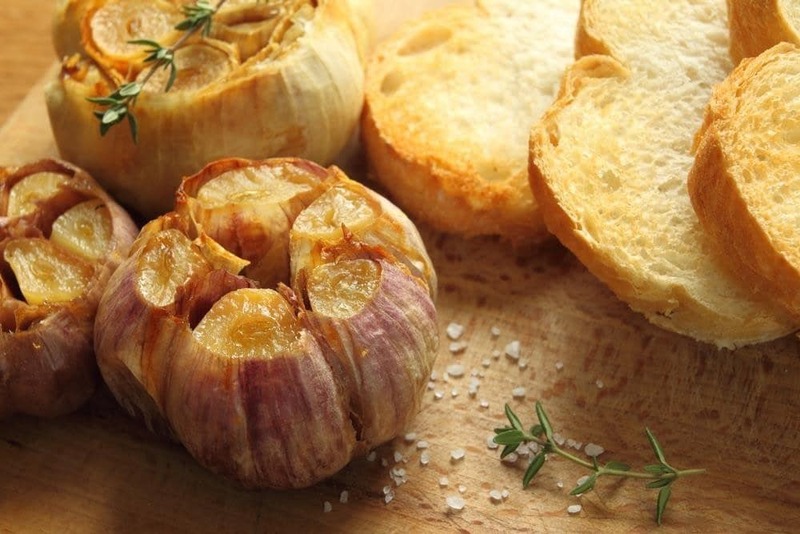 Dried or dehydrated garlic can be used in many ways. You can use it to substitute fresh garlic when sautéing or when cooking burger patties. 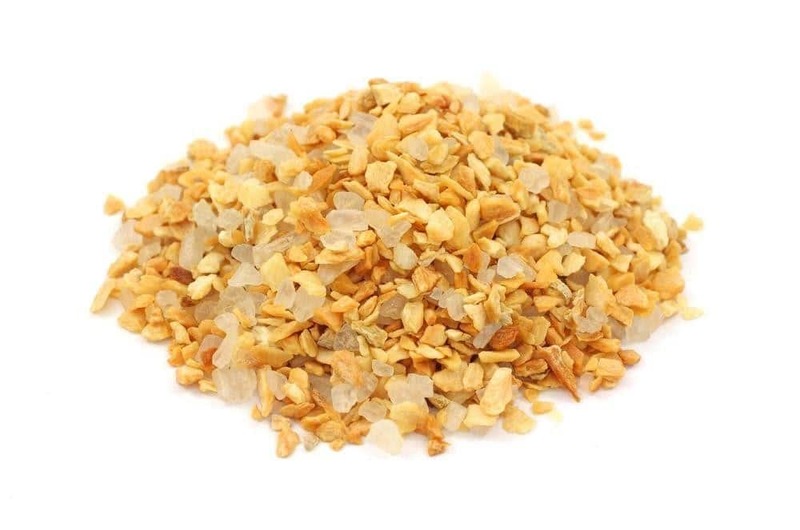 You may also sprinkle dried garlic over though and other toppings before baking your homemade pizza, as well as, give your soup its finishing touches with a sprinkle of dried garlic. • Chop garlic finely or process in a food processor. • Place minced garlic into a mason jar or airlock container and add in olive oil. 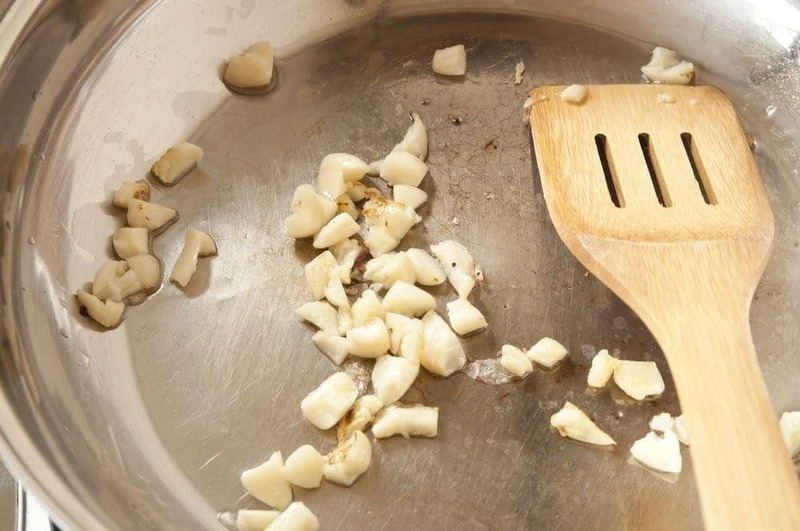 You can use the ratio of one teaspoon of garlic to two teaspoons of oil. • Store garlic in oil inside the refrigerator. Warning: While garlic in oil allows you to store and prepare garlic in advance, placing this preparation in room temperature put you at great risk of botulism. This is a serious condition, and you should not take it lightly. Botulism occurs when bacteria grows in certain food preparations, as in the case of garlic oil. To ensure that you can safely use garlic in oil, always put it in the fridge and discard the remnants after three weeks. Symptoms of botulism include dizziness, difficulty in breathing and paralysis. Love Garlic But Hate the Smell? You may have been using garlic all your life in soups and sautés, but it’s also worth knowing how to make garlic last longer. Since garlic is relatively easy to plant and grow, you might have a handful of extras during harvest time. Consider one or two of the storing and preservation methods above to maximize the use and benefits of garlic, but also remember that everything has an expiration date.